DHL operated a number of interesting aircrafts on their FBU run. 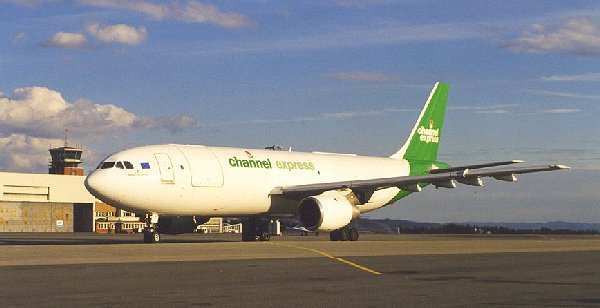 A300F G-CEXH of Channel Express was the DHL operator when FBU closed. DC8-62F(CF) LX-TLA of Cargo Lion. A300B4-203(F) EI-EAT of Hunting Cargo. Hunting Cargo also operates on behalf of DHL, this is B727-223(F) EI-HCI. DC8-73F N674SJ of Southern Air Transport is spreading its wings. Updated 28. May 1998 by Andreas Mowinckel - Please mail me if you have any comments.